The WU Global Tax Policy Centre (WU GTPC) at the Institute for Austrian and International Tax Law of the WU Vienna University of Economics and Business in cooperation with Commonwealth Association of Tax Administrators (CATA) is working on the pilot project under the theme “Cooperative compliance: Breaking the Barriers”. So far three Sub-Saharan African countries have committed to participate in the pilot program. Their names will be disclosed when the tax administration concerned issues an official communication in that respect. 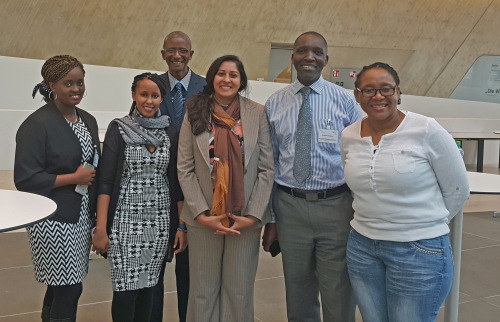 In July 2016 the WU GTPC team met with representatives of the tax administration of one of the countries in Pretoria to discuss the details of the upcoming pilot on cooperative compliance. The meeting in Pretoria lasted two days. On the first day, the WU GTPC team and the representatives of the tax administration agreed on the pilot design. On the second day the WU GTPC team facilitated the discussion between the tax administration and the taxpayer selected for the cooperative compliance pilot. The representative of the tax administration and the taxpayer agreed on terms of cooperation. Based on the discussion, the WU GTPC drafted a suggested Memorandum of Understanding which is currently being negotiated by the tax administration and the taxpayer. Although the project is focusing on Africa, a number of non-African Commonwealth countries have shown an interest in the concept of cooperative compliance. The next meeting is planned in November 2016, again in Pretoria.